Total quantity of 4x8 paneling in cart determines price per panel. List price reflects purchase of at least 15 units. 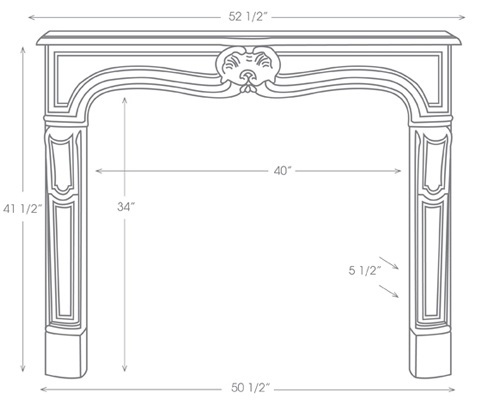 Click the button below to add the The Provence Louis XV 106 Marble Mantel to your wish list. 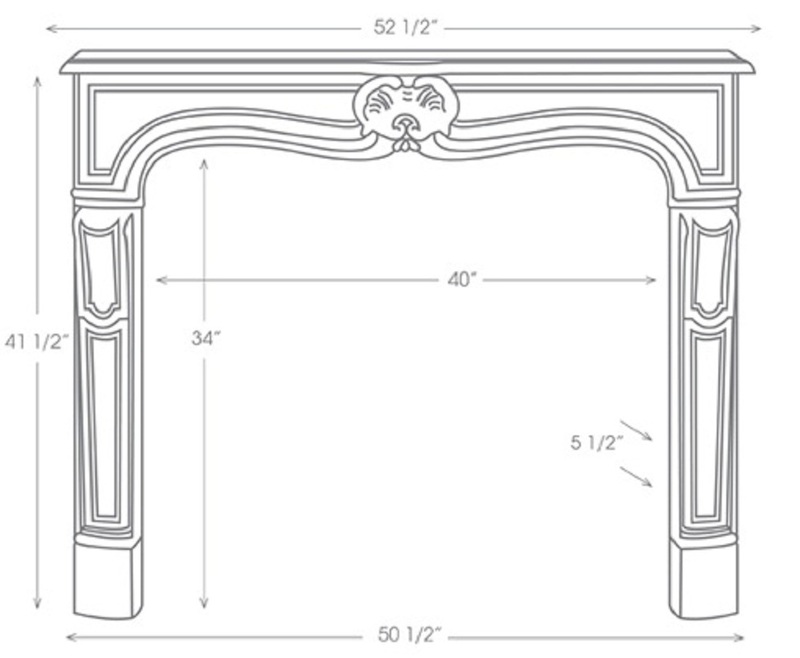 Overall Height = 41 1/2"
Shelf Length = 52 1/2"
Body Width = 50 1/2"
Leg width = 5 1/4"
Standard Return = 5 1/2"
Optional Custom Return = 0" to 5 1/2"
Header Height = 7 1/2"
This French Marble Mantle Surround, Circa 1750, has timeless Louis XV Styling with understated elegance, a simplified center shell and a smaller overall size. Called The Provence, this Heritage Collection mantel has recessed spandrel panels making this an ideal mantelpiece for bedrooms and Country French décor. Order optional Returns if your facing projects less than 5 1/2 inches: enter the precise thickness of your facing. View the Heritage Marble Mantel Gallery. Feel free to call us at (866) 983-3267 M-F.